"My paintings are expressive works of contemporary art that are constantly evolving. I paint with a combination of vivid colors, line and design that constantly challenges me by the emotions I feel when painting. 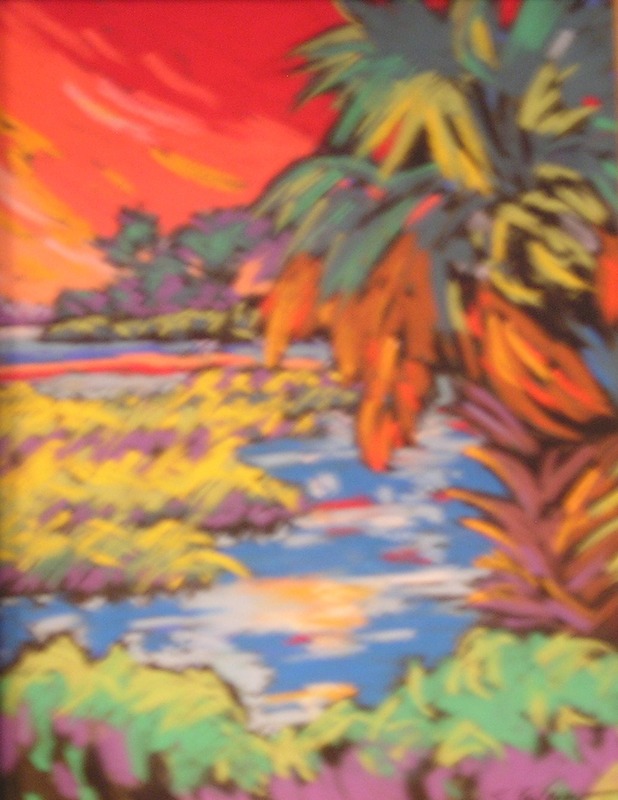 Color has been the focus of my paintings for the last ten years and my subject matters are inspired by nature and the sense of humor that life has to offer. I want to convey to my viewers that commonplace subjects can be viewed in uncommon ways." "The View from D Lane"
Equipped with a B.F.A. in Graphic Design and Fine Art from the University of South Carolina, Sally started her career as a graphic artist but soon became bored. 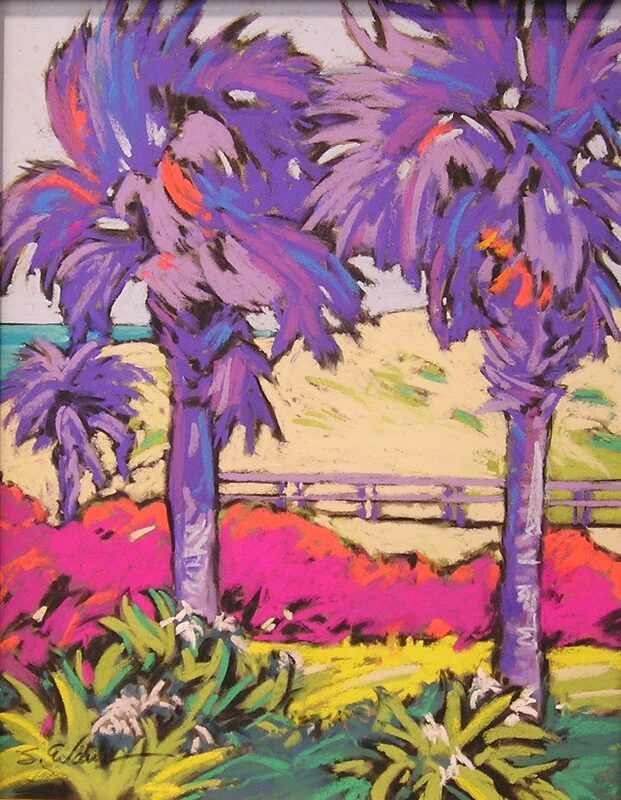 A vacation to the deserts of the Southwestern United States, during the early nineties, introduced Sally to the area's artists whose dramatic use of color stirred her soul. She then realized her life's goal was to become a fulltime painter. She has been fulfilling her dream ever since. 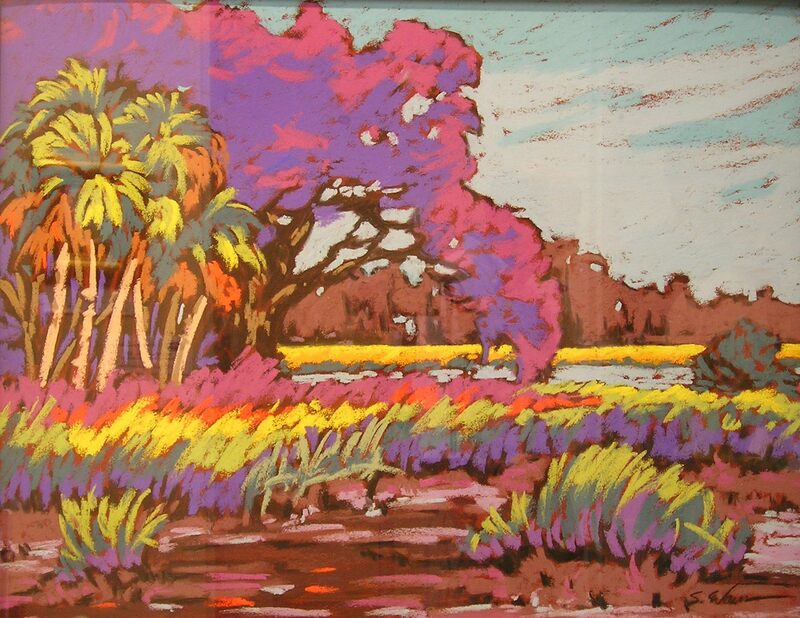 Sally's work is known for its expressive use of color and bold designs. Although she started with watercolors, she now enjoys pastels, acrylics and mixed media. 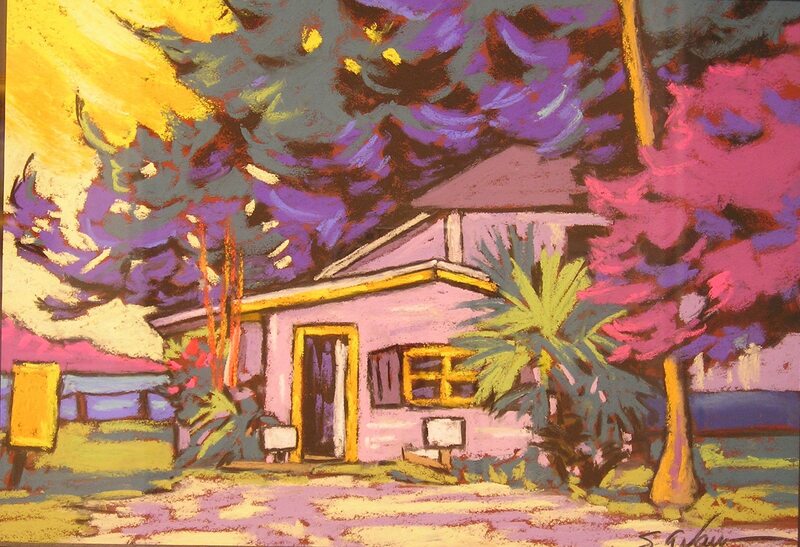 Her subject matter ranges from the beaches of Florida to the deserts of New Mexico and Arizona. She finds the palette of the deserts a refreshing change from her native South. In addition to her landscapes, Sally loves animals and creates whimsical works inspired by dogs, cats, horses and any other creature that catches her fancy. 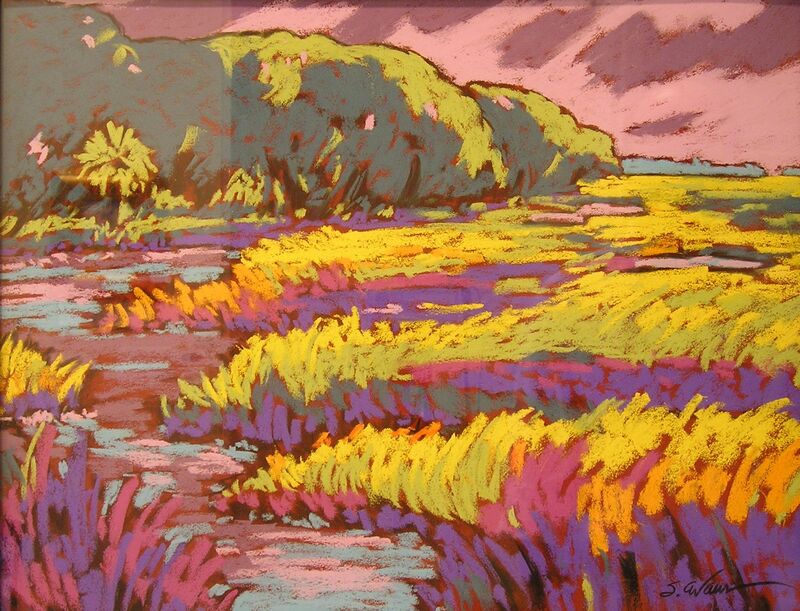 Sally's paintings have been exhibited in international juried shows, galleries and museums, all over the United States and her work is collected by a varied group of corporations including Tampa Bay Magazine, US Airways and The St. Joe Company. They are also on display in the American Embassy in Rome, through the Art and Embassies Program.